Farrah unexpectedly became homeless, and hope faded as hotel vouchers ran out. 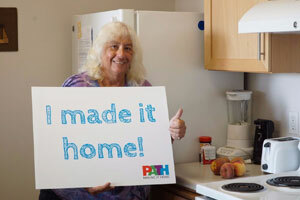 Unable to regain housing on her own, she found herself at PATH San Diego. Farrah worked with her case manager to reconnect with medical and mental health providers. Now she lives at our permanent supportive housing community in San Diego.